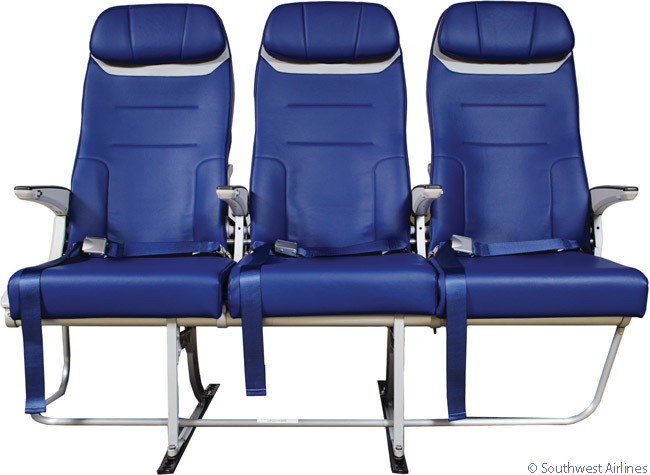 Southwest Airlines has selected the passenger seats for its future Boeing 737-800 and 737 MAX aircraft deliveries. “The new aircraft seats are the widest economy seats available in the single-aisle 737 market, and offer a unique design that gives our customers what they asked for: more space,” says Bob Jordan, Southwest’s executive vice president and chief commercial officer. 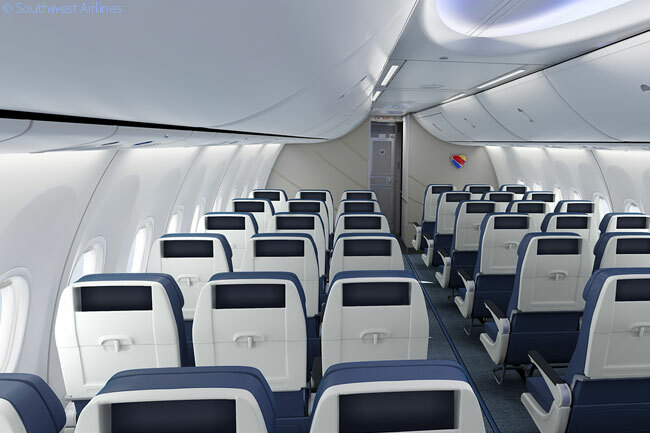 The newly designed seats will join other Southwest brand milestones, including cabin interior updates on Southwest’s 737-700s beginning later this year, and continued 737-800 deliveries in the airline’s new Heart livery. 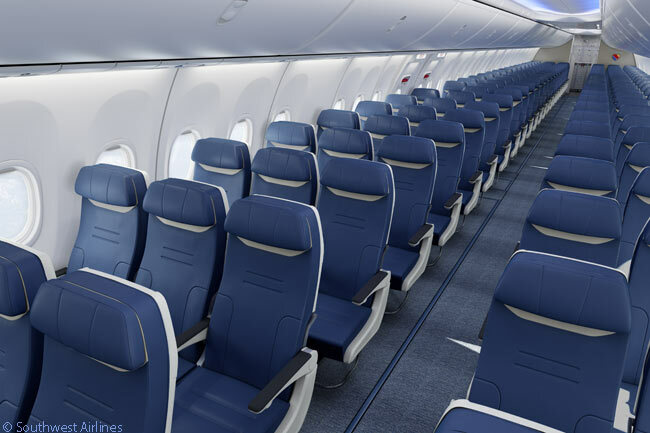 Southwest’s new seats are wider than its current seats and include an adjustable headrest and increased legroom, as well as more personal stowage, while decreasing the overall weight of the product. “The new, lighter seat allows us to continue to improve our fuel efficiency,” says Mike Van de Ven, Southwest’s executive vice president and chief operating officer. “This seat selection is just one more reason we are enthusiastic about our fleet modernization plans,” adds Van de Ven. Southwest’s fleet modernization effort also includes the retirement of AirTran’s Boeing 717-200 jets from Southwest’s fleet, replacement of Boeing 737-200s and 737-500s with Boeing 737-700s and 737-800s, and the projected delivery of 737 MAX 8s and 737 MAX 7s in 2017. The airline’s new seat rows are the first element of the 737 MAX interior to be released by Boeing and Southwest to the public. Southwest has chosen its seat color ‒ a variation on the ‘Bold Blue’ in Southwest’s livery ‒ for the new seats, and they will be upholstered with eLeather, a composition leather made of natural leather fibers. The eLeather material, which made its debut on Southwest aircraft in 2012, is manufactured using eco-friendly technology which recycles 95 per cent of the processed water using closed-loop techniques and converts its own waste streams into energy feeding back into the process. In 2011, Southwest Airlines announced it would be the launch customer for Boeing’s new 737 MAX family and is expecting to receive its first 737 MAX in 2017. 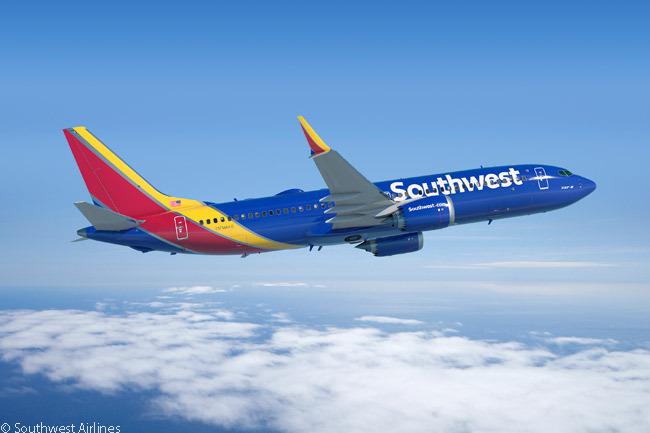 Southwest already operates the largest Boeing 737 fleet in the world. It will use the 30 Boeing 737 MAX 7 and 170 Boeing 737 MAX 8 jets it has ordered, as well as 191 more it has optioned should it firm these commitments into orders, for both fleet growth and fleet replacement. Southwest has done a great job in marketing. I have flown SW since it’s inception and have never been disappointed. They are truly innovators and in spite of all the other airlines’ hype. Great job SW.